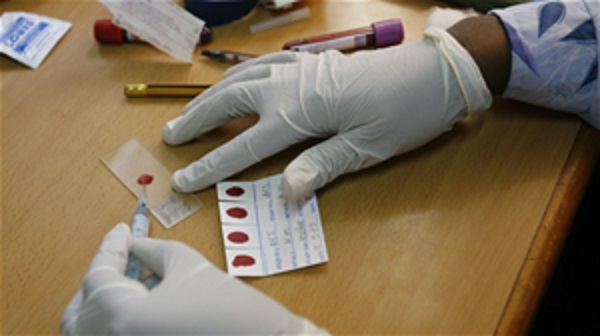 Some 60 percent of countries where malaria is endemic lack solid information about the quality of available drugs to treat the deadly disease, according to a new study. The study, published in the Malaria Journal in April, looked at 251 reports from 104-malaria endemic countries since 1946. It found that of the 43 countries that had some information about anti-malarial quality, more than half of these, 25, had only one or two published reports available. This means that when attempting to reduce the number of poor quality and illicit medicines in the market, individual states are often unable to quantify the extent of the problem in their country. The report found that globally, of the nearly 10,000 anti-malarial drugs sampled, 30 percent failed quality tests. According to the International Medical Products Anti-Counterfeiting Taskforce (IMPACT), preparations sold as effective antimalarials often in fact contain substances such as rat poison, mercury, lead, boric acid, paint, brick dust and floor wax. Such poisons can cause kidney failure, cancer, developmental defects, strokes, high blood pressure and other health complications. According to the Worldwide Antimalarial Resistance Network (WWARN), poor-quality antimalarial containing lower quantities of the required active ingredient increase the risk of malaria drug resistance, compounding the problem. Challenges related to terminology and patenting have also hampered progress in reducing poor quality antimalarial medications. “The controversy over definitions has disabled much that could be done and the use of the unwieldy term ‘substandard/spurious/falsely labeled/falsified/counterfeit medical products (SSFFCs)’ has not helped,” noted the authors of the study, because medicine quality reports don’t standardize their terminology or use the same metrics for calculating poor quality drugs. A member state mechanism on SSFFCs was established in 2010 to seek global solutions to tackle the distribution and trade of poor quality and illegal medications, but has so far made little progress. “Although drug companies, nongovernmental organizations, and governments all want reliable access to safe and effective medicines, and deplore unsafe fake medicines, it is difficult to achieve agreement on action because discussions too often trespass into conflict-prone areas such as pharmaceutical pricing or intellectual property,” said Amir Attaran, professor at the University of Ottawa and one of a group of health professionals, who came together to advocate for better action against illicit medications in 2012. As a result, in places like Kenya, ‘‘unlicensed salesmen have taken advantage of country’s post-marketing survey that has given room to smuggling and sale of drugs through porous borders to non-licensed pharmacy kiosks and clinics operated by non-professionals,’’ said Charles Maitai of the University of Nairobi’s Department of Pharmacy. ‘‘We advocate for the standardization of terminology about poor-quality medicines in order to ensure comparability of antimalarial quality findings,’’ Worldwide Antimalarial Resistance Network (WWARN), said in a statement published online. By lowering the cost of anti-malarial drugs, and distributing information about the quality of medications, it is possible to reduce the number of SSFFCs, and lower malaria mortality rates. In Kenya, anti-malarial drugs are currently being provided freely in public hospitals, while in pharmacies, they are being sold at a subsidized price Sh100 (US$1.1) as opposed to the market price of Sh800 (US$9.4). Following concerted efforts by the government to tackle the disease, the prevalence has dropped from 34 percent to 20 percent in the last five years. To make sure the drugs meet the required standards, the government conducts periodical quality checks on the drugs stocked in various institutions. It has been training health professionals on malaria treatment to ensure that they are giving out the correct dosages to patients. ‘‘We are advocating health workers to ensure correct use of anti-malarials to minimise episodes of drug resistance. This will ensure that the drugs in use remain effective,’’ Macharia told IRIN. The disease accounts for 30-50 percent of all outpatient visits and 20 percent of all admissions to health facilities. Custodia Mandlhate, the World Health Organisation (WHO) Kenya Representative, told IRIN during this year’s World Malaria Day that the gains so far realized are fragile and there is need to make them sustainable.